The location is amazing! The chalets are perched on a cliff overlooking the Dead Sea and the stairwell to access the water was a few footsteps away. Not a lot to like. The cats are amazing. Friendly and lovable. The staff were nice. The dinner was ok, kind of overpriced. 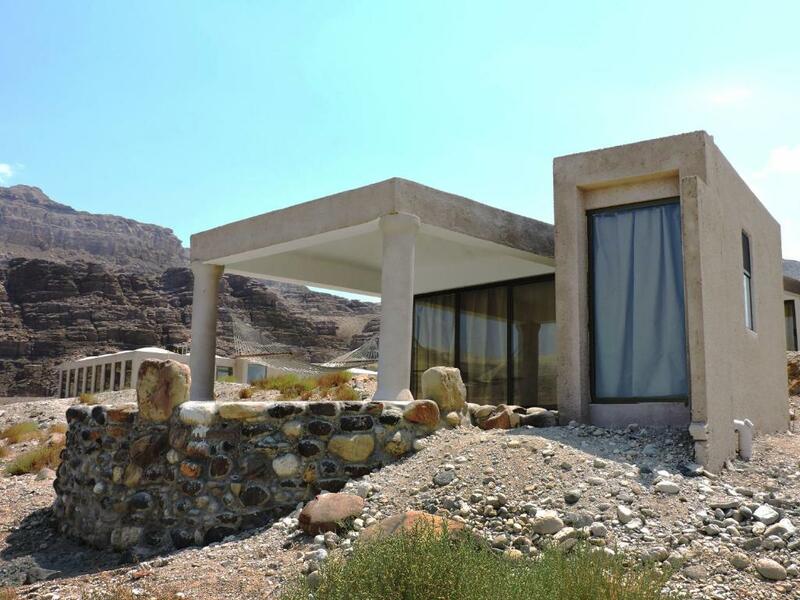 Great location, right on the Dead Sea. Food was very good - breakfast, packed lunch and dinner. Staff were very friendly and hospitable. Very helpful with recommendations. Location is the best if you are looking for a place where you can appreciate dead sea privately. It’s on the opposite the Wadi Mujib reserve but to get there you need to walk up the hill. One of the best stay during our Jordan trip. 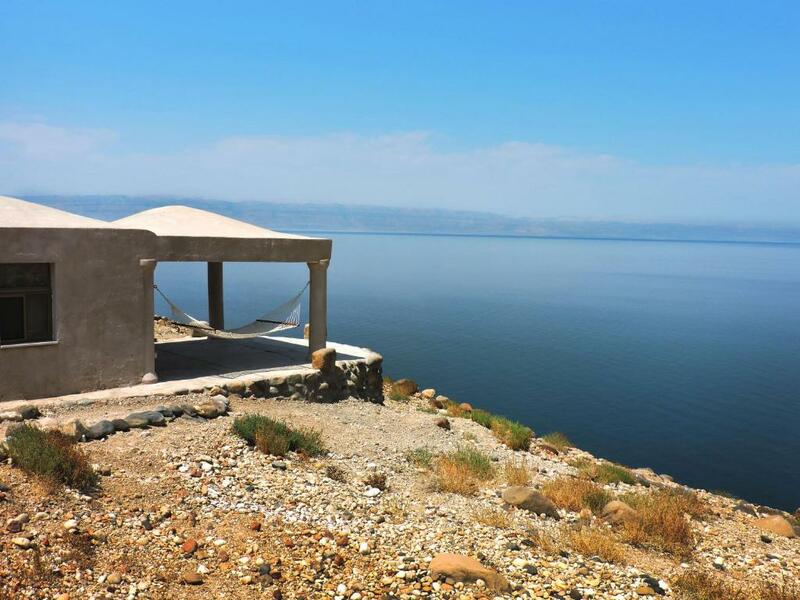 Excellent location by the Dead Sea with steps down making it easy to access for swimming! Amazing views from the Chalet over the sea. Dinner and breakfast buffets were good value. Away from the crowds at the big resorts. This place - though pricey gives you private access to the Dead Sea which was amazing and nice views. Much better then the packed resort hotels. Across from the Mujib National Park which was amazing to canyoneer. I loved having the Dead Sea all to ourselves. 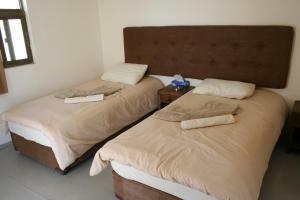 The property is located several kilometers away from the resorts in an isolated area. The nature reserve with it's awesome canyon, is just across the street. Loved how close the chalets were to the Dead Sea, plus there are outside showers available once you got out of the water, very convenient! Remember you can only swim until sunset, per government rule. There is no wifi at the rooms but adequate wifi is available at the reception and dining area, which I used. Understandable given the remote location. They offer awesome hikes during the regular season. The dinner, which is optional for a fee was marvelous. The included breakfast was basic but good. I would stay here again. The host was pleasant and knowledgeable about the area. Excellent location, magestic, peaceful and quiet, raw nature where cliff meets the Dad Sea 400m below sea level. Great warm escape in winter. Nice home made food, great staff. You can also bring your own bbq and the staff will setup the fire. Chalets provide beatuful view from the bed through French windows. Amazing view of the dead sea. Very private place, the first day we basically had the "beach" and sea to ourselves. Bed was nice. Lock in a great price for Mujib Chalets – rated 8 by recent guests! 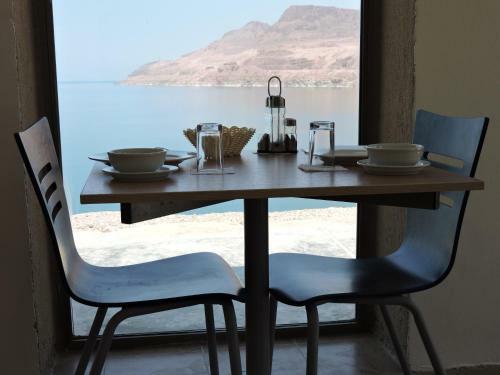 Featuring free WiFi, Mujib Chalets is just 53 mi from Amman. Free private parking is available on site. Featuring a terrace, the air-conditioned accommodations have a sitting area. Towels and bed linen are featured. Queen Alia International Airport is 30 mi from the property. This property also has one of the top-rated locations in Ath Thughrah! Guests are happier about it compared to other properties in the area. This property is also rated for the best value in Ath Thughrah! Guests are getting more for their money when compared to other properties in this city. When would you like to stay at Mujib Chalets? This chalet features a dining area, air conditioning and private entrance. House Rules Mujib Chalets takes special requests – add in the next step! Mujib Chalets accepts these cards and reserves the right to temporarily hold an amount prior to arrival. This place has loads of potential in terms of its location and general ambiance. However, like many things in Jordan it just falls short in so many aspects. The rooms and dining hall were basic and had no character or overall charm to them. They're not very well maintained either as most of the paint and plaster seems to be chipping off. 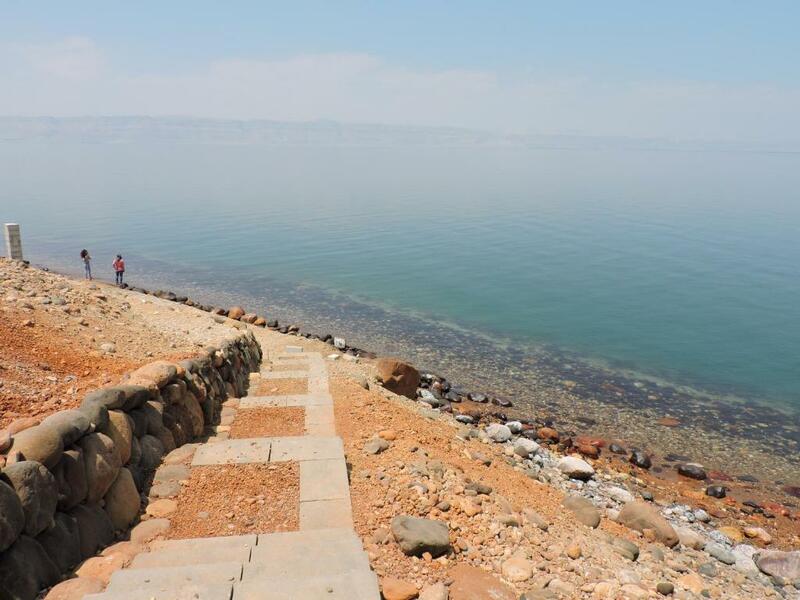 The stairs to access the Dead Sea are suitable for most but then cut off abruptly and you're left with a gravel and rock path to try and maneuver. The water itself is quite difficult to enter as it's full of rocks and footing can be really difficult. An amazing charming place at the Dead Sea. The staff is really nice and the view is simply wonderful! Really nice place to disconnect and just enjoy Jordan! It fees a little “commercial”, but I think better than the resorts. Location is perfect. Comfortable beds and nice bathroom. Access from the main road via 500m long rocky and stony road, we were afraid of tire pincture. But on the other way, road looks very genuine and not that commercialy like if t woul be asphalted. Superb place on in the heart of the Dead sea, near river delta, architecturaly buautifull and comfortable chalets with splendid view over Dead sea, big beds and clean linen. Shower with french window and sea view. Romantic beach and tasty breakfast. Also possible dinner buffet in restaurant. 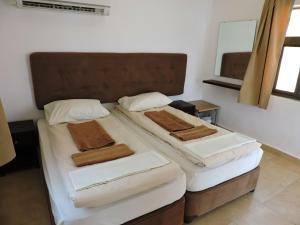 Staff could be more attentive and helpful, they do not seem to bother much with guests. The access from the main reception into the rooms is challenging, full of stones and difficult when you have to carry your bags. For those dependent on Wi-Fi, there is no available access on the rooms , only at the main reception or restaurant. Outstanding location and view from the bungalow. Overpriced. A lot of flies outside. Surroundings looks like construction site. Best place to stay at the coast of the Dead Sea. Quiet Nice view from chalet. The breakfast was excellent. The location was absolutely breath taking. It is a simple place with everything you need to relax and disconnect from work or the city in general. The fact that you have your own private beach and great hospitality is more than enough to say that this place is worth 3X the price!! We would love to return in April or May to experience the nearby attractions. The flies... Bring something for them, between 10am - 4pm it's a terror and you cannot sit outside and enjoy the huge terrace. Also the signs to find the place could be more clear, better arrive during daylight. The staff is fantastic at Mujib, very friendly and met all special requests that we had - really great to see people walk the extra mile for their guests. This place could be much improved if they wanted, but it's mind-blowing regardless. Pictures are accurate so all existing info should be sufficient on that aspect. Breakfast was very good and the location was just perfect! The view was amazing.the staff was sooo nice. They invited me for mansaf and we had a great evening with other guests sitting around a fire made by Ibrahim. It was such a great experience.